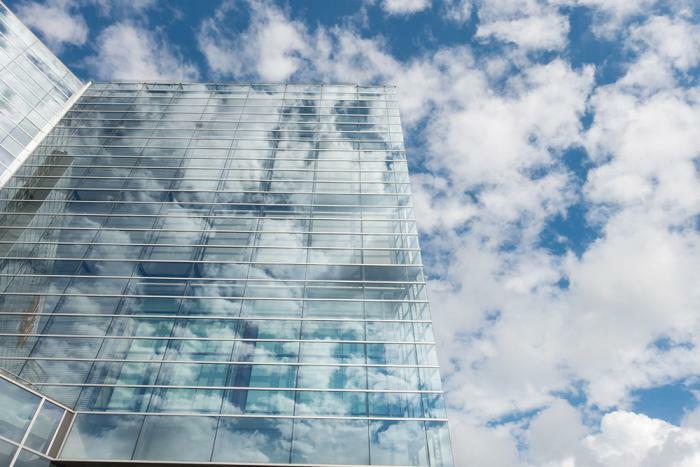 Cloud vs. On Premises: Which Is Right For Your Business? Every three years or so, businesses with on-premises server deployments are faced with a decision. Do they embark on the usual server update cycle, with the capital outlay that implies, or do they make the leap to a modern public or private cloud platform? In recent years, an increasing number of businesses of all sizes have embraced the cloud, migrating back-end office systems, application hosting, and databases to scalable on-demand cloud platforms. At Steadfast, we have seen increasing demand for help with this type of cloud migration because, unlike other cloud vendors, we work closely with our clients to build a custom cloud deployment that suits their precise requirements. One of the reasons businesses are hesitant to make the move to the cloud is the risk that the migration could go wrong. They have experience with on-premises server deployments and the cloud is a completely different environment. Most cloud vendors — including Azure and AWS — don’t offer much help in that regard: cloud users are thrown in at the deep end to sink or swim. Under those conditions, it might be rational to stick with what you know, but, with Steadfast Simplicity Cloud Services, our cloud experts will design and build the ideal cloud environment for any business and help with the migration, enabling clients to control the potential risks and costs associated with making a significant change to IT operations. But why are so many businesses abandoning their on-premises server deployments and self-managed data centers? Security and privacy are of increasing concern to businesses and their customers, especially businesses that operate under strict regulatory regimes like HIPAA and PCI DSS. It’s a simple truth that most businesses don’t have the expertise to design and build truly secure data centers and networks. Something many companies found to their dismay (and that of their users) in 2017. It’s prohibitively expensive for a company not in the data center business to build a truly secure IT deployment. By migrating to either a public or a private cloud platform hosted in a secure data center, businesses reduce the cost of data security and regulatory compliance. Steadfast’s data centers are SSAE 16, SOX, HIPAA, and PCI DSS compliant, and, with Sentinel Managed Security, we provide a range of managed security bundles to help our clients deploy secure public and private cloud-based applications and services. Businesses pay for servers regardless of whether they’re cloud or on-premises servers. There are no free lunches, but Steadfast’s data centers operate at a scale most companies can’t match and we pass the associated economies of scale on to our clients. We handle staffing, maintenance, repairs, and the upgrade cycle so that our clients don’t have to bear the full burden. Steadfast Simplicity Clouds are priced up-to 43% lower than competing cloud platforms and much lower than the cost of replicating our security and quality of service yourself. Utilization is a big problem for on-premises server deployments. Recent figures show that average server utilization levels are very low. Every underutilized server represents a wasted capital and operational investment. On-demand cloud servers reduce wastage: spin up an appropriately configured server when you need it, delete it when you’re done — you only pay for what you use. We’ll help you keep costs to a minimum, both by building a custom cloud environment that matches your real-world needs and by performing regular cloud utilization monitoring to identify cloud servers, storage, and other resources that aren’t being used efficiently. All Steadfast Simplicity Clouds are highly available with built-in redundancy to ensure optimal uptime and availability. We have one of the best reliability records in the business, which is why we’re happy to offer a 99.99% Availability Service Level Agreement. In today’s IT infrastructure environment, it is inefficient and uneconomical for businesses to build on-premises server deployments when they could use cloud platforms that are more secure, more reliable, and less expensive.